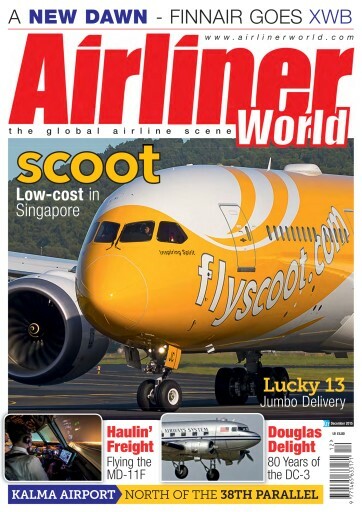 In the December issue of Airliner World, we profile Singapore Airlines’ low-cost, ‘young at heart’ subsidiary Scoot, we celebrate 80 years of the ubiquitous Douglas DC-3 and we haul freight with Lufthansa Cargo and its venerable MD-11Fs. 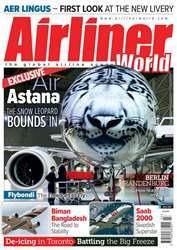 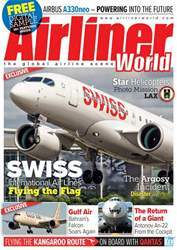 Elsewhere in this edition, we join Finnair for the delivery of its first Airbus A350 XWB and Cargolux for the handover of its latest Boeing 747-8F. 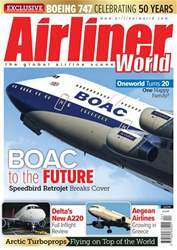 We also head north of the 38th parallel to Kalma Airport, North Korea’s newest gateway, we remember US budget carrier AirTran and its predecessor Valujet and we chat to Ruth Cadbury MP about the UK Airports Commission report and alternatives to expansion at London Heathrow. 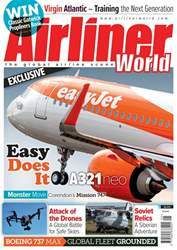 Lastly, we bring you our comprehensive coverage of worldwide news, including another major order for Norwegian, troubled Russian carrier Transaero Airlines is grounded, CityJet selects the Sukhoi Superjet for its fleet renewal programme, Airbus launches an ultra-long-range variant of its A350 XWB and British Airways retires its last 737. 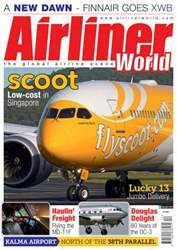 We also have all of our regular sections covering the latest commercial aircraft acquisitions, up-to-date accident reports and developments from the world of aviation training and MROs.